The Naked And Famous’ career trajectory has been stratospheric since the release of their critically acclaimed and commercially successful debut album ‘Passive Me Aggressive You’ in 2010. Their international profile rose (and rose) through the licensing of all those songs in advertising, games, television and film soundtracks, leading them to find a new home in L.A., and much anticipation for ‘In Rolling Waves’, their newly released sophomore album. Main man Thom Powers talked with Amanda Mills. 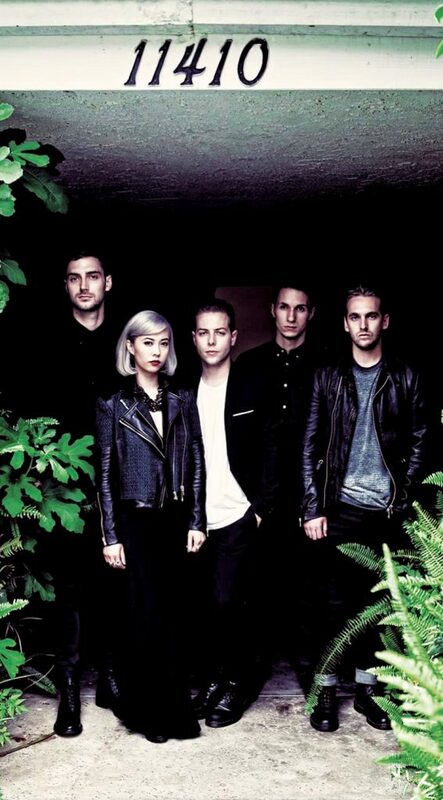 The origins of The Naked And Famous are by now well known to fans worldwide. Vocalists Alisa Xayalith and Thom Powers met at MAINZ in Auckland, forming a duo named from a line in a Tricky song. Initially signed to Auckland indie label Round Trip Mars, they released two EPs in 2008 – ‘This Machine’ and ‘No Light’, gaining NZ On Air video funding and student radio support along the way, recruiting bassist Ben Knapp and drummer Jordan Clark for live shows. While the live performances were not then a strength, their potential was apparent, even beyond the local industry. By 2010 they had generated a lot of interest and had their own label, Somewhat Damaged. New band members, bassist David Beadle and drummer Jesse Wood replaced Knapp and Clark, and engineer Aaron Short was now part of the band. A $50,000 NZ On Air grant was awarded to record an album debut (in the same round as Aaradhna, Motocade and Black River Drive), via CRS Management. Recorded at their home studio and The Lab, ‘Passive Me Aggressive You’ proved a stonking hit, debuting at # 1 in the NZ album charts, and receiving 4-star reviews in UK gatekeeper press such as Mojo and Uncut. Second single Young Blood was especially significant, with platinum sales in Australasia and 20 million video views on YouTube. The band toured it for two years, performing 250 shows in 24 countries, playing at Glastonbury, Reading, SXSW and Fuji Rock Festivals, not to mention the 2011 BDO. They topped off a huge 2011 with the APRA Silver Scroll Award for Young Blood, eight Tui awards and a finalist nomination for the Taite Music Prize. Shifting flat to Los Angeles in 2012, The Naked And Famous focused on their international profile, earlier this year releasing a ‘B-sides and Remixes’ album. In July we got to hear Hearts Like Ours, first single from their sophomore album ‘In Rolling Waves’ which has by now seen international release on Republic Records (UMG), home to a literal A-Z of acts including Drake, Florence & The Machine, Crystal Castles, Nicki Minaj and Lorde. The band members have been through a lot of adjustments since ‘Passive Me Aggressive You’ was released, acclaim for one, and I threw things open by asking Thom Powers what changes had resulted in the band’s outlook. The move to California was about the band collectively deciding to spread their wings. The group initially found a Laurel Canyon house large enough for them all, but more recently Powers and Xayalith have been living in Echo Park, which he terms a “young, hip and cool area”. It helps that friends and peers in the NZ music scene have relocated there too. Sam McCarthy of Kids Of 88 recently moved to L.A. and lived on Aaron Short’s couch for a couple of months, while former Steriogram guitarist Bradley Carter, Midnight Youth guitarist Simon Oscroft and actress Michelle Ang all live in the suburb. 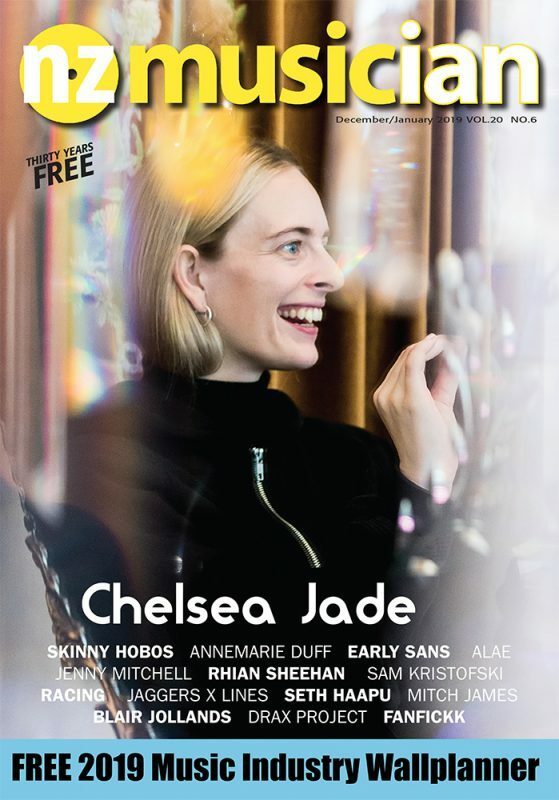 Songwriting credits are shared between Powers, Xajalith and Short.This time, the quintet have looked outside their tight knit group for instrumental assistance, engaging violinist Andrew Bulbrook from the Calder String Quartet. ‘In Rolling Waves’ was recorded at Sunset Sound Studios in Hollywood, with engineering by the band’s close friend Billy Bush, who mixed ‘Passive Me Aggressive You’. Powers describes him as “…the glue that kept us sane!” While Powers and Short co-produced the new album, some co-production was also done with Justin Meldal-Johnsen, a multi-instrumentalist and producer known for his work with Beck. ‘In Rolling Waves’ progresses past ‘Passive Me Aggressive You’, with less emphasis on keyboards and more on the guitar, and I suggest, song structures. He describes the writing process for the new album as similar to that of the first. The band’s sonic intentions have however changed, he reveals. One new song already gaining a lot of attention is What We Want, with its Fleetwood Mac-vibe in the laid-back chorus and soaring harmonies. It has a long history says Powers. In a record bursting with dynamic songs and sonic differences, The Mess stands out as a dialogue between the band’s two vocalists. The song is intense and personal, perhaps reflecting Powers and Xayalith’s relationship – or was it entirely fabricated? One thing influencing the band’s decision to move to the City of Angels is the fact that they clearly feel appreciated there, that their hard work has paid off. Powers recalls their first big tour of America under the wing of U.S. band Foals. Only a few months later they were headlining a tour of their own that was bigger than the one they’d done with Foals. Their latest tour, which started on September 25, included a gig at L.A.’s 3000-capacity Wiltern. They also played two nights at Terminal 5 in New York, to a potential audience of 5000 people. Powers still doesn’t seem to believe this many people want to see them. Their songs have been used heavily both in NZ and internationally, in advertising and video games, television series (including Gossip Girl, Grey’s Anatomy, True Blood, One Tree Hill and The Almighty Johnsons), and film (Cabin in the Woods), earning great revenue and exposing the band to widely different audiences. While ‘Passive Me Aggressive You’ qualified as an international hit, their major success has been with singles, especially Young Blood, which won the Silver Scroll and debuted here at #1. Powers acknowledges there was again emphasis on singles this time around, but makes the point that they were in charge of it. The band’s Kiwi management remain close and often join them on tour. For the current tour the band have a tour manager and seven crew. The coming months will see them play 22 US dates, 24 UK and European dates and the six BDOs around Australasia, bringing them back to play Auckland at the start of 2014, which Powers is more than happy about.